Here is my Nishiki Prestige, I believe it is mid '80's. I picked it up on eBay, it is in excellent condition. I spent a whole week cleaning and overhauling it. 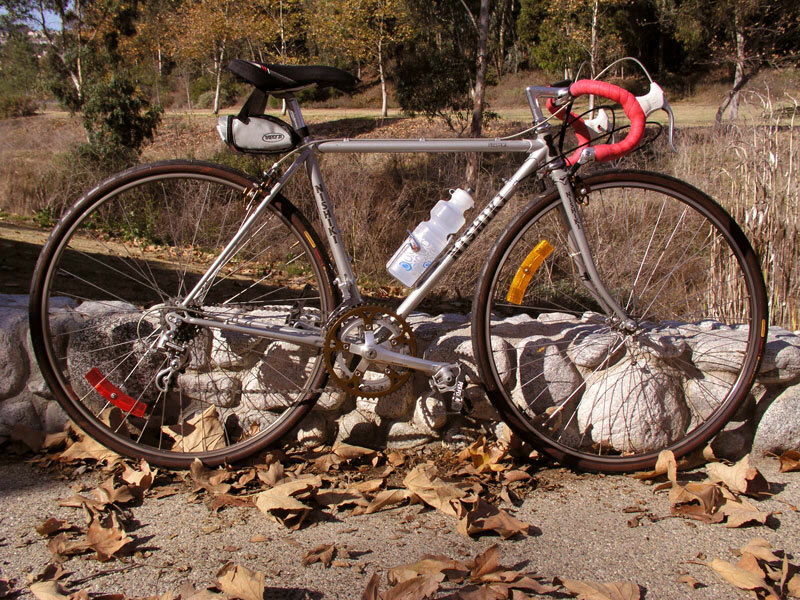 I like to ride it on weekends, pretty much all year around; the weather here in Southern California is great. The picture is taken at Christmas 2006. The size of this bike is 47cm measured center to center. The top tube is 53cm center to center. Everything is original, with the exception of the saddle-Bontrager.